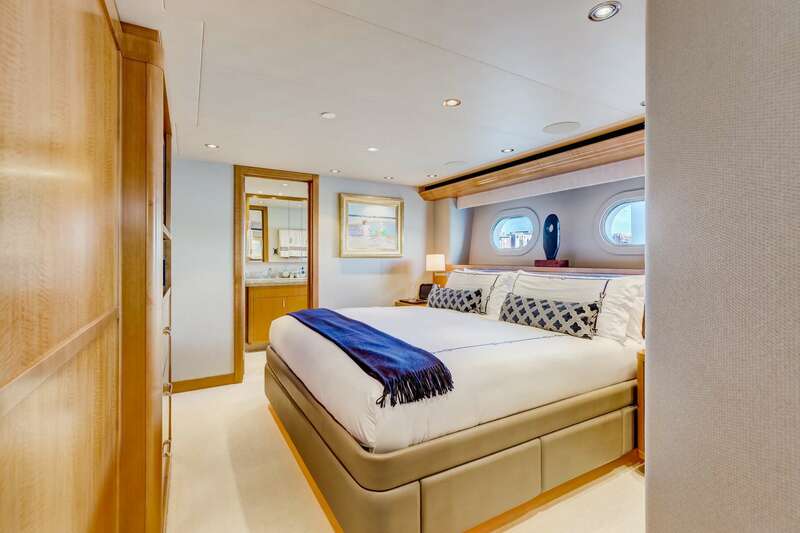 Welcome to the AvYachts 40M (130′) 2014 – and a whole new world of luxury yachting. 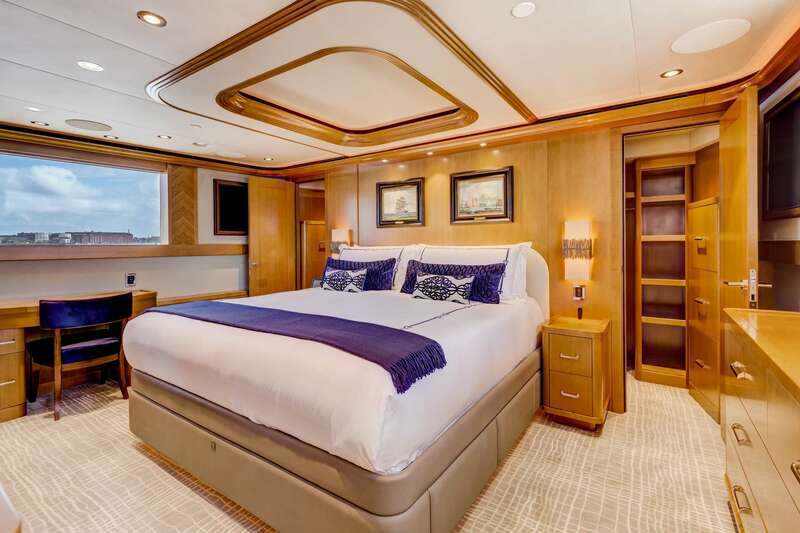 Features five staterooms and top-of-the-line amenities, the AvYachts 40M is a contemporary, lavish oasis that offer the ultimate balance of relaxation and entertainment. Start your day at the cozy breakfast corner – or head to one of the spacious sun decks to soak in your surroundings. Whether you are in the mood for a dip in the Jacuzzi or a thrill ride on water skis, every day is its own adventure. WALTER WETMORE | CAPTAIN Captain Walter Wetmore is a fifth-generation sailor. He comes from a long line of mariners. He started his professional maritime career in 1989 as Captain for Archie Comic books owner aboard the Sailing Yacht Riverdale High. In the years since, Captain Walter has sailed from Hawaii to Turkey and from south of the Equator to north of the Arctic Circle. 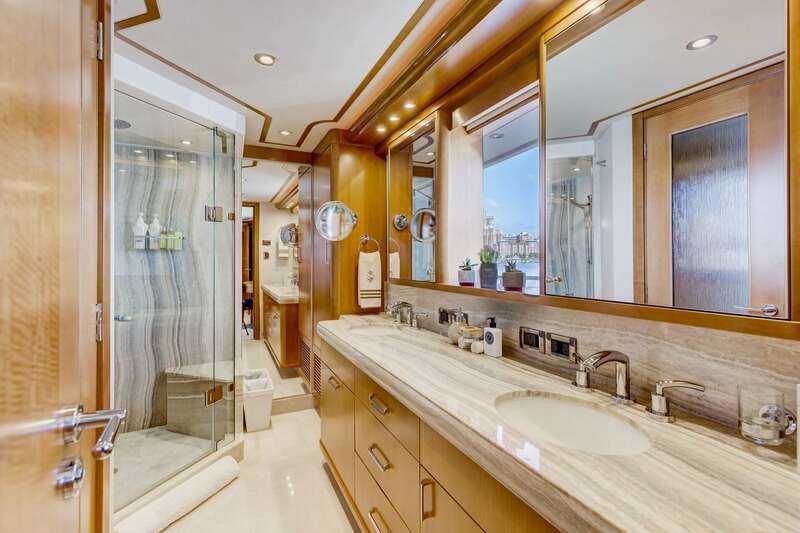 During his long successful career, in addition to mega yachts, he has worked on tugboats in Valdez Alaska, Norfolk Virginia, & Port Everglades, FL. He worked onboard the Ocean Research Vessel Endeavor belonging to the University of Rhode Island, recovering torpedoes with the US Navy and the Nantucket – Martha’s Vineyard Ferry. Captain Wetmore holds a USCG 1600 /3000- ton Ocean Masters license, as well as the equivalent British license. Walter is a resident of Jamestown, RI. His hobbies include the restoration of antique automobiles, the oldest being a 1931 Chevrolet. 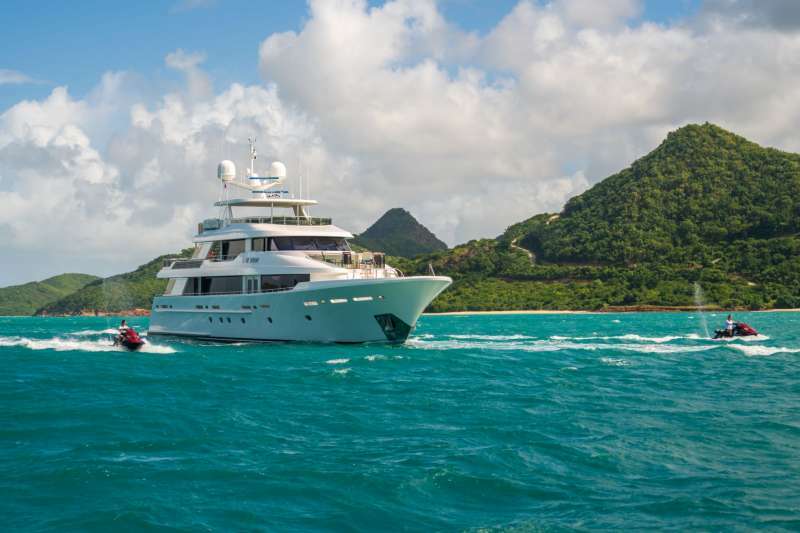 Walter is a successful charter captain well known from his days at Motor Yacht Safira, Selene and Muse. 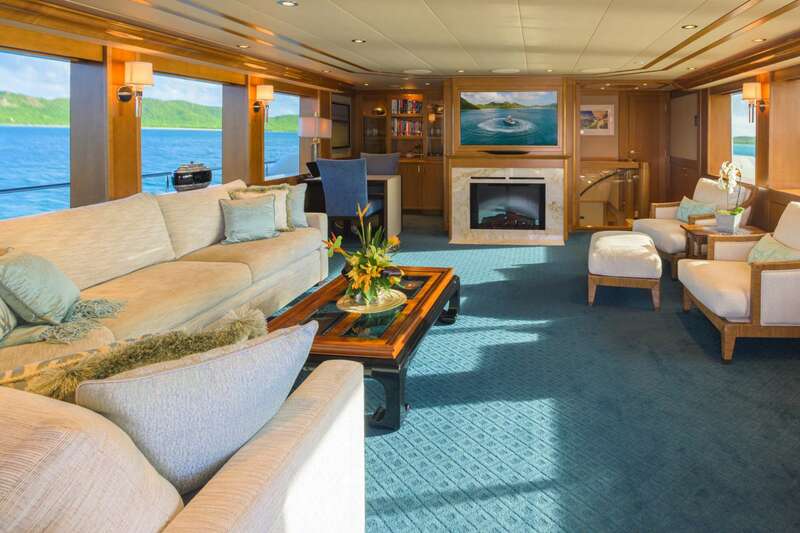 What Walter enjoys most about yachting is being able to show his guests the Islands of the Caribbean, the Bahamas and the East Coast of the USA. Being a Yankee, he can show off New England and Down East as very few other Captains can. MICHELLE LEE | CHIEF STEW Michelle was born on the beautiful Island of Oahu, Hawaii. She was working in the medical industry as a surgical assistant for fourteen years before she realized that yachting was her true calling. She is in her eighth year as a Chief Stew veteran and she is a consummate professional. She has a wonderful positive personality, loves to go fishing and snorkeling, is a hard worker and always has a smile on her face. Hospitality is her number one passion. 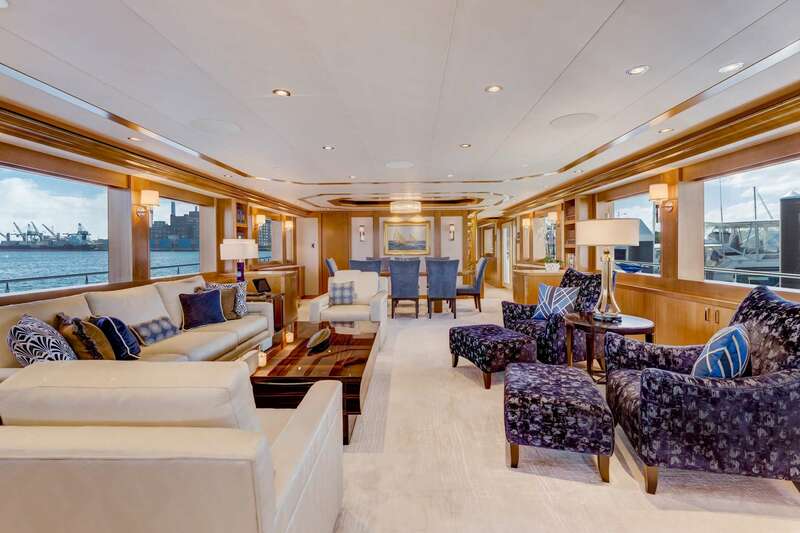 Past yachts include: Lady Victoria 120’ Feadship, Short Games 130’ Westport, Aguarius 211’ Amels, and Julia 100’ Broward. She was also a Service Stew for private estates in Yonder Cay, Newport and Big Sky Montana. BOBBY CHILDS | CHEF Bobby is an American culinary trained Chef holding a Basic STCW 95 with PSA, ENG 1, Serve Safe Certified Food Safety and AOS Degree in Culinary Arts. Bobby has been aboard Endeavour for nine months. He was aboard 72-meter M/Y Kogo for just over a year, initially employed as Crew Chef but frequently stepped into the Head Chef role. 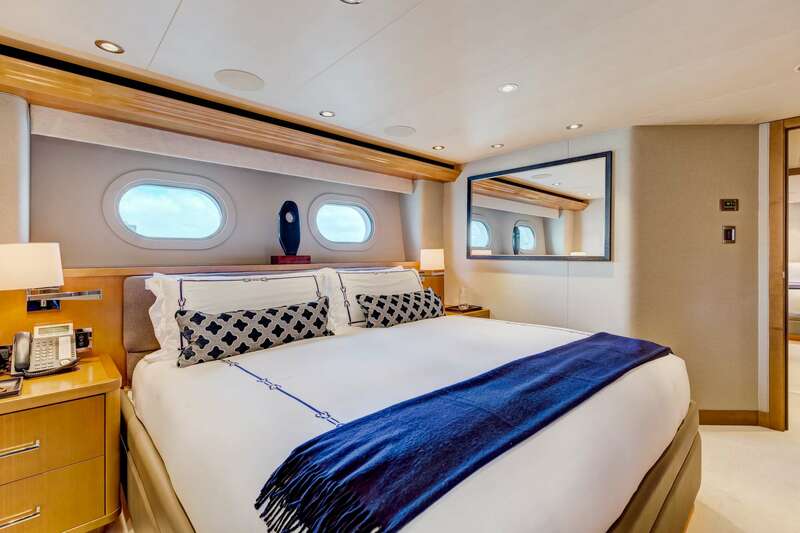 Bobby also spent six months on 78-meter M/Y C2 as Crew Chef working side by side with the Head Chef in preparing Kosher meals for up to 28 guests and 25 crew. 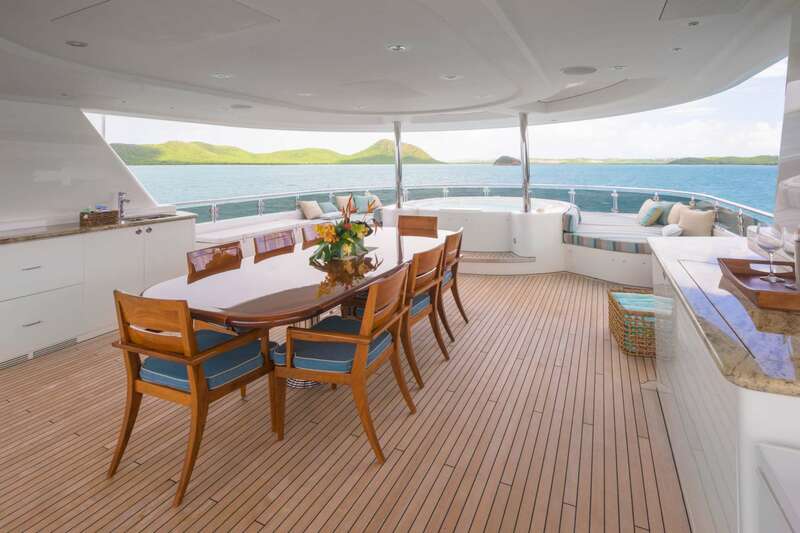 Most recently he has spent a year and a half on 48-meter M/Y NorthStar. Bobby was raised in California and he completed his training at The Culinary Institute of America Greystone, then he stayed in Napa County for five years. He worked as a Chef de Partie at a Bistro, a cooking demonstration Chef and as an R&D Chef. He is very strong in preparing French, Asian and classical American dishes, but he is experienced in all. BRENDAN CLEARY | MATE Brendan hails from Rhode Island and developed a passion for the water at an early age, growing up on Narragansett Bay. He studied Economics at the University of Rhode Island but always felt the lure of the ocean. 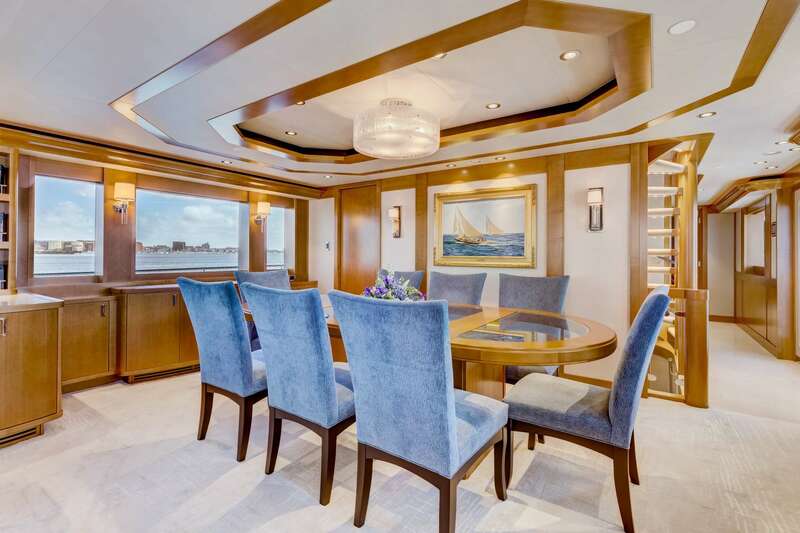 For several years he has been working on crewed yachts as a Steward and Mate. Brendan holds a U.S. Coast Guard 100-ton Master’s license and is a certified PADI open water diver. He enjoys scuba diving, free diving and traveling to experience other cultures. Brendan’s dynamic personality is an asset to any yachting team. TOM JONES | ENGINEER Tom was born and raised in Ukiah, California. He has lived in California, Mexico and currently resides in South Florida. His life prior to yachting was in the construction industry. He was introduced into the yachting industry in 2005 by his sister who was a Chef. Tom holds his Chief Engineer Limited license and his 3rd Assistant unlimited. His goals and aspirations are to achieve his Chief unlimited and sail the pacific on his own boat. His favorite places are Fiji. His hobbies and interests include sailing, surfing, mechanics, travel, motorcycles, wake boarding, snowboarding, diving and fishing. Tom loves life at sea. On his time off he aspires to sail the mighty South Pacific! Tom has such a pleasant demeanor and always has a smile on his face. He is surely an asset to team Endeavour. TERRI BRAUN | DECK STEW Terri was born in Allentown, Pennsylvania and was raised in Florida. She also lived in Germany, Georgia and Colorado. Terri earned a B.A. Degree in Finance. Prior to yachting, she had a corporate career in the Finance industry. She has been sailing personally for almost 10 years, owned her own sailboat and lived aboard. She participated in 2 racing seasons. She has a strong passion for the sea. She considers yachting her second career. She holds a PADI open water, Power Squadrons Boat Safety and PYA Interior Operations / Service. Her hobbies include sailing, diving, yoga, reading, walking in nature and riding trains. She enjoys traveling to Europe because of the different cultures and ways of living. She feels blessed and grateful that she was able to fulfill her dreams of living and working on boats. Terri’s sweet personality is such an asset to making the guests feel comfortable the minute they step onboard!